While I was debating what to write about today, Mark Sisson wrote a post that, as usual, got me thinking. He wrote a very interesting (and not too scientific, Thank you) article about the problems obese people have with excess skin after losing weight and what they can do about it. He had a lot of very interesting recommendations, and if you're looking to lose or are in the midst of losing a lot of weight you should definitely read it. In the comments, more than a few mentioned that even though they exercised and lifted weights they still had that problem. On the other hand there were also a few who found their saggy skin went away with time. 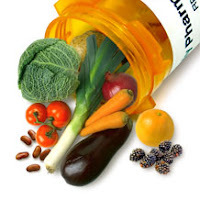 What nobody said was whether or not they had followed his dietary recommendations as well as his exercise ones, and that I would think is a major factor. One of the things he wrote about was how to keep your skin elastic - a major factor in preventing sagging skin, and he recommended among other things eating gelatin. 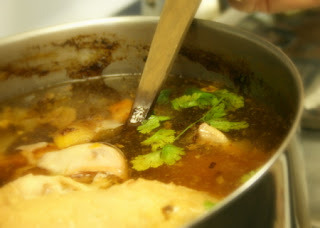 He wrote about bone broth which I've already shown you how to make since it's a staple for those of us eating Paleo. I'm not sure whether it has to be beef bones of if chicken will work as well, but I do make both so I guess I'm covered one way or the other. Considering the extra skin benefits, I think eating more gelatin is certainly worthwhile for everyone, even if you're not losing weight. After all it's the elasticity in your skin that keeps your face young looking as well, and everyone wants that. He also wrote about taking gelatin powder as a supplement. One of the best gelatin supplements is Great Lakes which is made from grass fed beef. Reading his article also got me thinking about other ways to add gelatin to my diet. If gelatin powder also works, why not add more gelatin recipes to our collection? That way we can get the benefit even if we don't have the time to make bone broth and are not keen on just taking it as a supplement. Here are a few of the recipes that I found. I've made some substitutions to make them Paleo and now that I've tried them again I'm definitely going to make them more often. Here is a very easy dessert I used to make all the time. Just heat up a cup of white grape juice in the microwave and then add a package of unflavoured gelatin, mixing until it's dissolved. Add a cup of sliced strawberries and a few drops of red food colouring if you really want it to look this red. Then hollow out two halves of a cantaloupe, pour the mixture evenly into both halves, and refrigerate until set. To serve just cut into wedges. Looks fancy and tastes great. In place of the grape juice you could use just water with a bit of maple syrup or honey added. When I was a student this was all the rage. And being a coffee lover it was perfect for me. It's actually a very light tasting dessert and perfect as a finish to most dinners. If you're worried about caffeine that late during the day I'm sure it would work just as well if you use decaf coffee. This also makes a very stiff sort of jello, so if you prefer yours softer just add some more liquid. - Cook over low heat, stirring frequently until the gelatin has completely dissolved. - Refrigerate until set, at least 6 hours or overnight. This is the most amazingly rich dessert and I can't believe I forgot about it. My Italian landlady taught me this when I was living with her as a student, and it is the most delicious creamy thing you could eat. I don't think we want to be eating this on a regular basis, but as a Sunday dessert or for a dinner party it would be perfect. 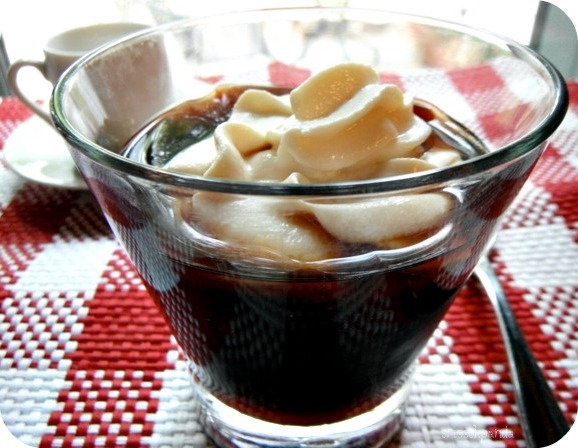 - Pour about 1/3 of a cup of the cream into a small bowl and stir in the gelatin powder. Set aside. - In a saucepan, stir together the rest of the cream and the maple syrup, and bring to a boil over medium heat watching very carefully. - Put the pan back on the medium heat and cook for one more minute, stirring constantly. 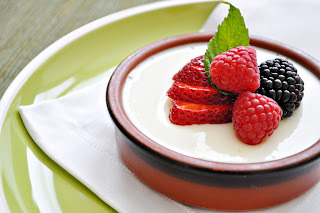 - Remove from the heat, stir in the vanilla, and pour into six individual ramekin dishes. - Cool the ramekins uncovered at room temperature. When they are cool, cover them with plastic and refrigerate for at least 4 hours and preferably overnight before serving. Here is a recipe that my mother used to make and has a history dating back to the 1800's when Knox gelatin first came onto the market. 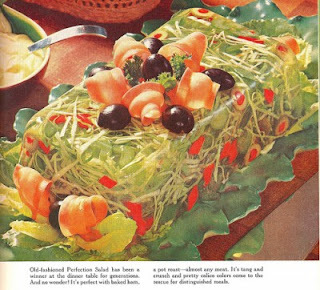 These kinds of salads were often serves as a side dish when I was a kid and maybe it's time to bring back that tradition. This tastes terrific with any kind of grilled seafood, chicken or meat. 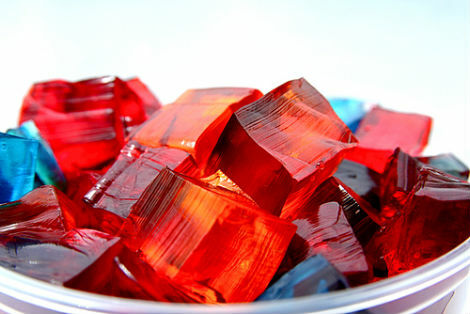 - Mix the gelatin with the cold water and leave for about 5 minutes. - Add the boiling water, sweetener vinegar, lemon juice and salt. - When the mixture begins to stiffen, add the remaining ingredients. - Once chilled you can just scoop what you need from the pan, but if you want to be fancy. Unmold onto a bed of lettuce. 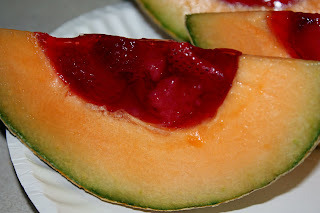 The trick to doing this is to fill your sink with hot water, then dip the mold into the water just for a minute so the jelly starts to unstick from the sides. Place a plate over it, then invert the pan so the jelly slides out. This I think is the best recipe of all. Desserts are great, and so is a side dish, but when you can incorporate some protein, you really have a winner. 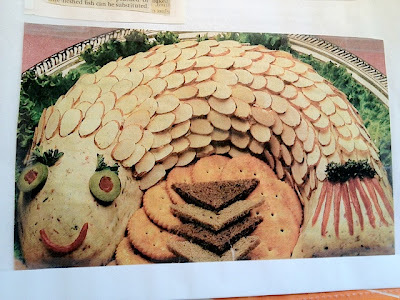 I first made this years ago for a party, and this is what it looked like on the buffet table. Of course now I would use my Paleo bread slices instead of the crackers, but the recipe itself is perfect for our purposes. Make yours in a loaf pan and it will look more like this. - In a large bowl sprinkle gelatin over the cold water and let stand 3 minutes to soften. - Add the boiling water, stirring until the gelatin completely dissolves. - Stir in lemon juice, salt, pepper sauce and mayonnaise until well blended. - Chill at least 4 hours or until firm. You can make an optional sauce/salad dressing to go with it by mixing 1/2 a cup each of mayonnaise and sour cream, some chopped dill, salt and pepper, and a little smoked salmon in your blender. 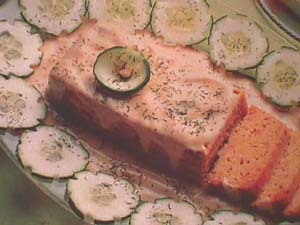 A slice of this wonderful mousse with some extra cucumber on your salad makes a terrific lunch, especially on a hot summer's day. In fact this is one of my favourite lunches any time of year. And hopefully it will become one of your favourites as well. Since salmon, according to a very well known skin specialist/author, is also terrific for your skin, you get double benefits eating this on a regular basis. If you want to read more about why salmon is great for skin health, check out one of Dr Perricone's many books. He writes a lot about anti-aging as well. Seems to me, for anyone who wants to age well, taking care of your skin is paramount. Gelatine isn't the whole answer I'm sure, but eating more of it can't hurt. After all, having skin as good as Jane does at 75 is not a bad thing to aim for is it? Thanks, I'm going to try these recipes out! I'm really late to this party, but I remember some of these types of food too. I can't wait to try the melon one this spring & summer! Great ideas & thanks for the recipes! When I bought my fish mold they didn't have non stick ones - which would have been a lot easier! However I've always found that if I greased the mold really well I don't have a problem getting the mousse out of it. To be sure all the nooks and crannies are greased, I use a pastry brush and a little olive oil and go over the whole mold carefully. It's a bit more trouble than just using a spray, but I think it's worth the time. If even after careful greasing, your mousse still breaks, you're totally right. Shape it back together (a little mayo makes a good "glue"), cover it with nuts and herbs, and nobody will ever know.